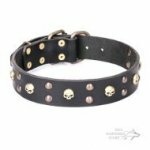 What Producer of Metal Dog Collar to Choose? 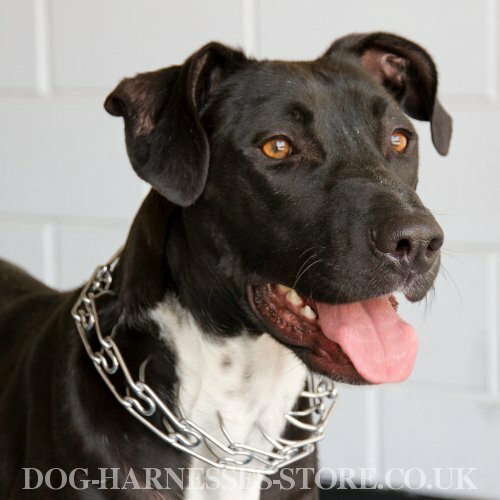 Metal dog collars are effective tools for dog obedience training, behavior correction and taking part in dog shows and rings. 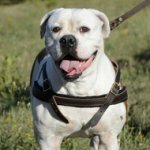 Such collars are extra strong and high-tensile, harmless and not violent if made by professional producers with excellent reputation like Herm Sprenger and ForDogTrainers. Which one to buy for your dog? Herm Sprenger dog collars are made in Germany. This is the name of a world-known brand that produces supplies only of the finest materials. Herm Sprenger is widely popular and recommended by the best dog trainers. Each dog collar passes quality control test after every stage of production. 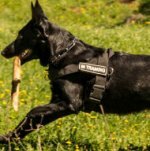 Herm Sprenger collars are high-quality, effective and hard-wearing. ForDogTrainers is the brand, which takes care of dog comfort and health. The company pays special attention to recommends and advice of pro cynologists. Long experience and qualified specialists allow the producer to make premium-class metal collars at affordable prices. 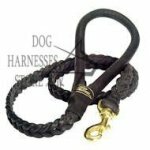 Each ForDogTrainers collar has engraving on rings, buckles and other surfaces. HS collars have also red labels along with engravings. These signs prove originality of the collars. Both producers use only harmless and dog-friendly metals and alloys, which are sturdy and break-resistant. Let's find out more about them. 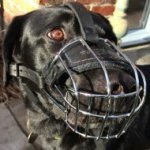 Stainless steel collars are used by the leading trainers for dog training and walking in any weather. 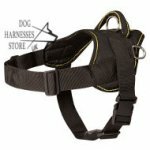 Chrome-plated steel collars are also very popular attributes for dog control being break-resistant and practical. 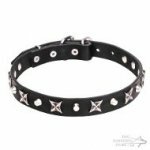 Black stainless steel collars are covered with black oxide. The collar becomes more durable and attractive due to this coating. These chains are not recommended for dogs with white and light coat. Brass dog collars are perfect for shows and rings. Brass is the alloy of copper and zinc. Most of the chains are with large links to be maximum firm and wear-proof. Shiny goldish color is rich-looking and very attractive. 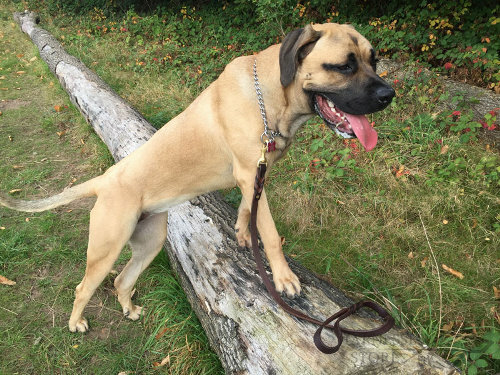 Curogan collars are ideal for dogs with sensitive skin. The alloy of copper and tin causes no allergy and discoloration. Curogan and brass chains are a bit behind in durability compared with chrome-plated and stainless steel ones. But if to speak about dog health and coat, these collars are the safest. 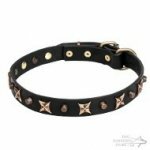 The two producers of metal collars are the finest ones at the dog market. It depends on your taste which one to choose.